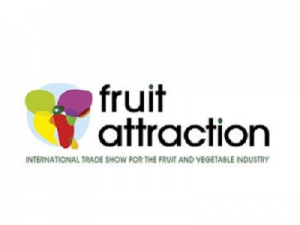 Fruit Attraction, the International Trade Show for the Fruit and Vegetable Industry, commemorates in its next edition its 10th Anniversary. – It will take place in Madrid (Spain), from Tuesday, October 22nd to Thursday, October 24rd. – This year will be its largest edition, with a forecast of 1,600 participating companies and 70,000 professionals fom 120 countries, making Madrid the world capital of the horticultural sector during that week. – Fruit Attraction provides fruit and vegetable operators around the world the VISIBILITY, ENGAGEMENT, SALES LEADS and CUSTOMER LOYALTY they need to keep diversifying and expanding with exports to new markets.